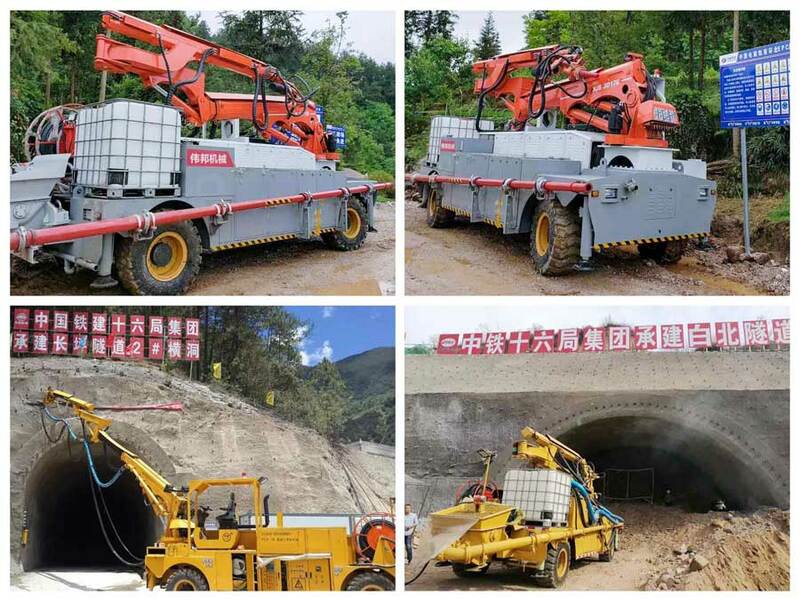 Shotcrete Manipulator TXJS3017G - Buy robotic shotcrete machine, mechanized concrete spraying manipulator, shotcrete truck chassis Product on Henan Weibang Intelligent Science & Technology Co., Ltd.
TXJS mechanized tunnel shotcrete machine (shotcrete pump) is the recommended solution for mechanized concrete spraying in tunnels of railway and highway, slope stabilization, water conservancy and hydropower engineering, subway and a variety of military and civil construction engineering. 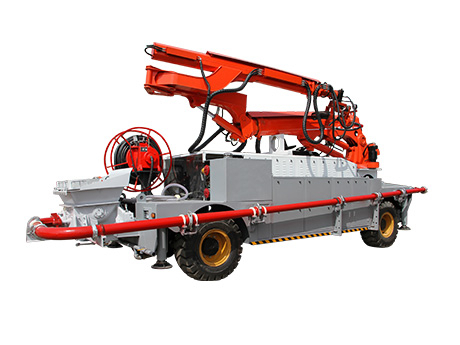 1.The fully hydraulic telescopic and collapsible intelligent spray arms are suitable for the long-distance and high altitude wet spraying site. 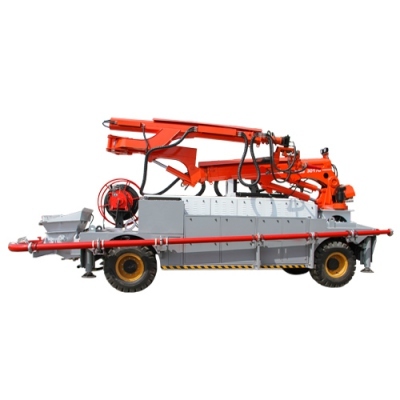 2.Double telescopic spraying arms, inter arm and outer arm. 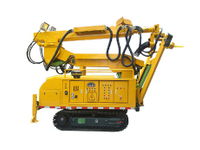 Big arm and small arm have the function of automatic parallel, which makes it easy to operate. 3. 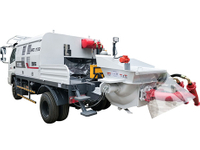 Intelligent spraying operation, high accuracy, wide spraying range, and small spraying blind zone . 4. Accelerator dosing system controlled by the frequency converter ensures wide rate of accelerator dosage and low rebound. 5. 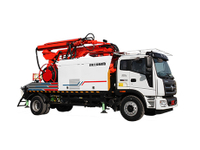 Piston pumping system , spraying capacity of 4-30m³/h, the working efficiency is three times higher than the rotor-type spraying machine. 6.Four-wheel drive, two-way driving, four-wheel steering. 7. 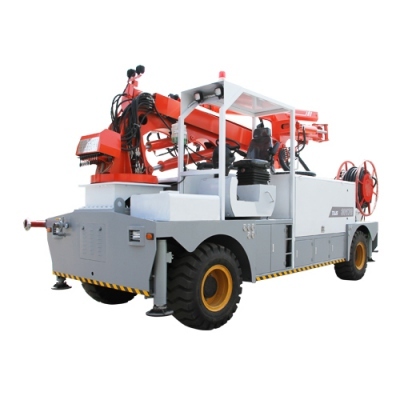 Imported wireless remote control makes it possible to easily adjust pumping speed, boom movement and accelerator ratio timely in long-distance, which improves working environment of workers. 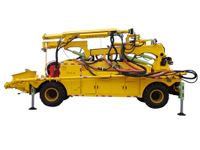 9.Double power pumping system, electric driving or diesel engine driving are alternative for spraying works.